What better way to surprise your guests this holiday season than with a newly remodeled kitchen or guest bathroom? We understand that many of our clients want to make a good impression on family members and friends, which is why we recommend planning home remodels before the holidays. Since remodeling is disruptive to home life, it’s also a good idea to make sure renovations will be completed before the in-laws arrive for Thanksgiving and Christmas. In this blog post, we will go over the different types of home remodels that will add value to your home and to your life this holiday season. For more information, we recommend contacting a remodeling contractor near you that offers a variety of different home remodeling services. Part of being a good host is making sure your guests are entertained. What better place to entertain guests than in your newly remodeled kitchen with custom cabinetry? Custom kitchen cabinets make it easy to remove clutter from surfaces so guests can admire your new kitchen countertops and have a place to set their drinks. A custom kitchen cabinet builder will be able to design the perfect storage space for all your holiday party essentials, such as a wine rack. Nothing is more luxurious than natural stone kitchen countertops. 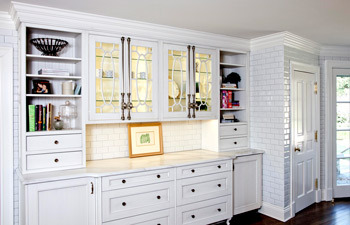 However, there are a variety of kitchen countertop materials to choose from based on your design preferences. New kitchen countertops can be a great way to impress your guests this holiday season, especially if you plan on hosting a family get-together or Christmas party. Do you have family members who will be staying with you during the holidays? If so, you may want to consider the benefits of a guest bathroom. It’s always stressful trying to balance bathroom time when there are more people than usual in the house. Why not add a guest bathroom adjacent to the spare bedroom? If you have the space, a remodeled bathroom can be a perfect solution to making sure people don’t fight for bathroom time. If you don’t wish to add a new room to your house, we recommend remodeling a bathroom you already have. A bathroom remodeling contractor will be able to tell you if there is enough space in your half bathroom to add a shower or tub. With more family members under your roof, you’ll be grateful to have another 3/4 or full bathroom. If you work from home, you may want to design your own office space before the guests arrive. While we don’t suggest hiding in your study from your in-laws, the home office can be the perfect place to get some work done if you have family members from out of town that will be staying with you for a few days. 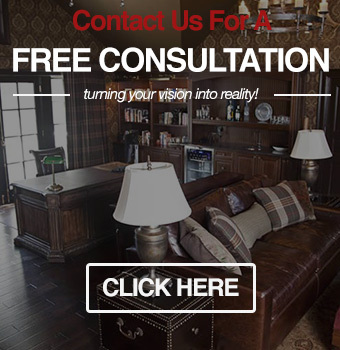 The Oakland County home remodelers at Visionary Cabinetry & Design work hard to make sure you are completely satisfied with your latest home remodel. If you are interested in getting an estimate for custom kitchen cabinets, bathroom remodeling, or other home improvements, give us a call at (248) 850-7178.